Ultimate support, comfort and temperature regulation delivered to your doorstep! Beds To Go combines convenience with quality engineered for the perfect support and feel. Not too soft and not too firm, it's just right! Exclusive to Rooms To Go, this luxurious mattress promotes ideal spinal alignment while delivering pressure point relief and temperature regulation. 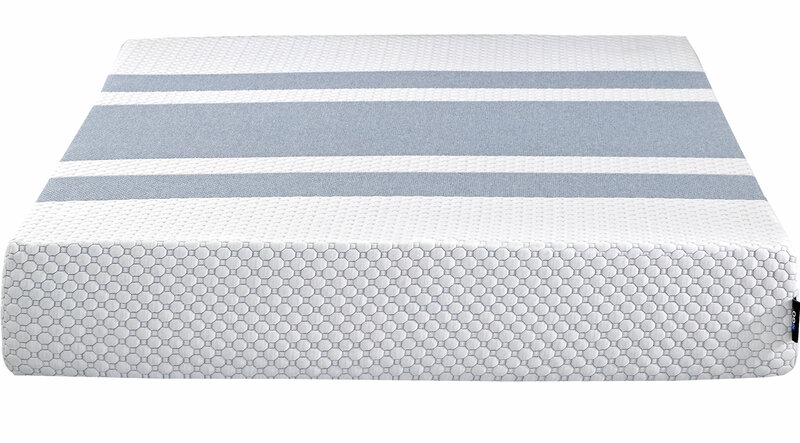 Easy to set up right out of the box, this premium mattress utilizes advanced ThermoGel technology in the cover, a moisture-activated gel material that cools body temperature only when it's needed. The addition of Energex foam delivers the pressure relieving benefits of traditional memory foam, but with a quicker response time for a springier feel. A combination of Memory Touch Visco foam and Posturized Theracool Advanced Gel foam offers conforming support with a cool, comfortable feel. The HD Ultra Performance Foam base offers deep down support and durability. *100 Night Sleep Guarantee - Beds To Go mattresses include a 100 night sleep satisfaction trial period. We recommend you sleep on your mattress for 30 days, to allow your body to adjust. Within the trial period, we will allow you to return the mattress for a refund or exchange in store for a different item (customer responsible for any price difference or applicable delivery fees.) Any other items purchased with the Beds To Go mattress are excluded from satisfaction trials. All merchandise must be returned or exchanged in sanitary condition, free of tears, burns or stains.